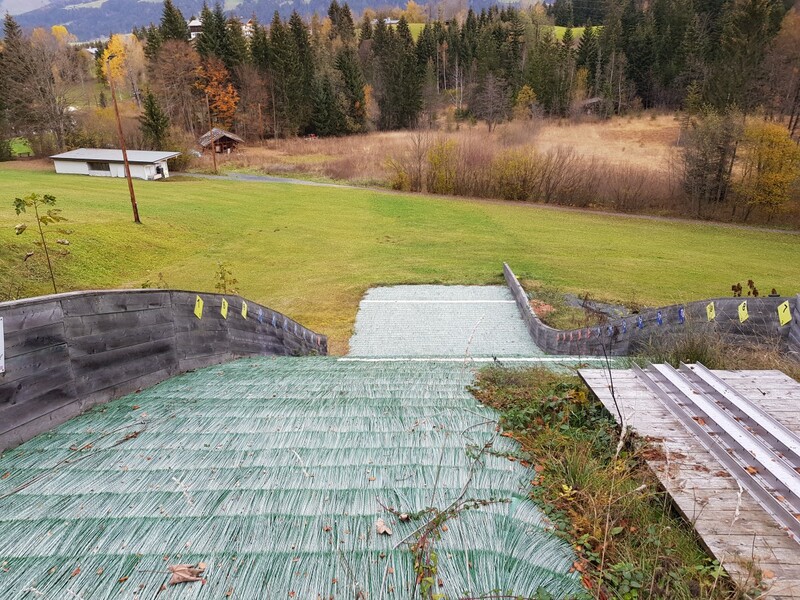 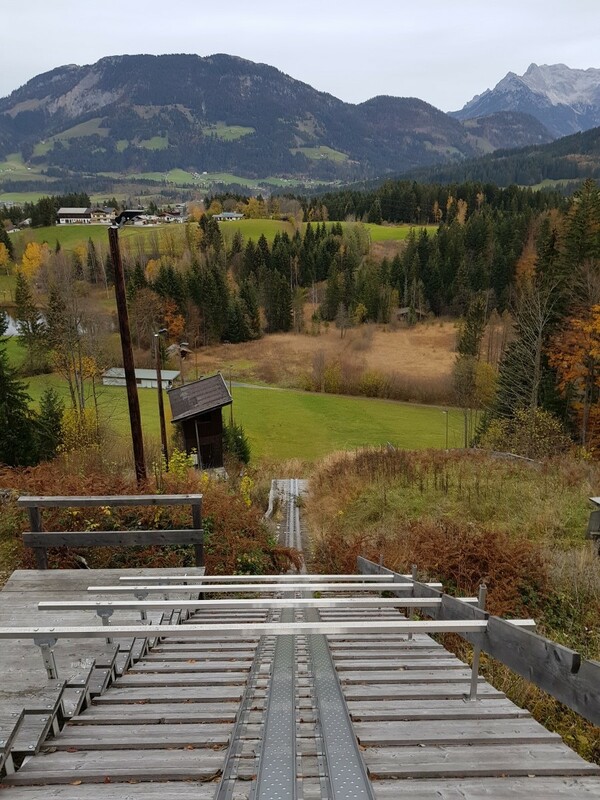 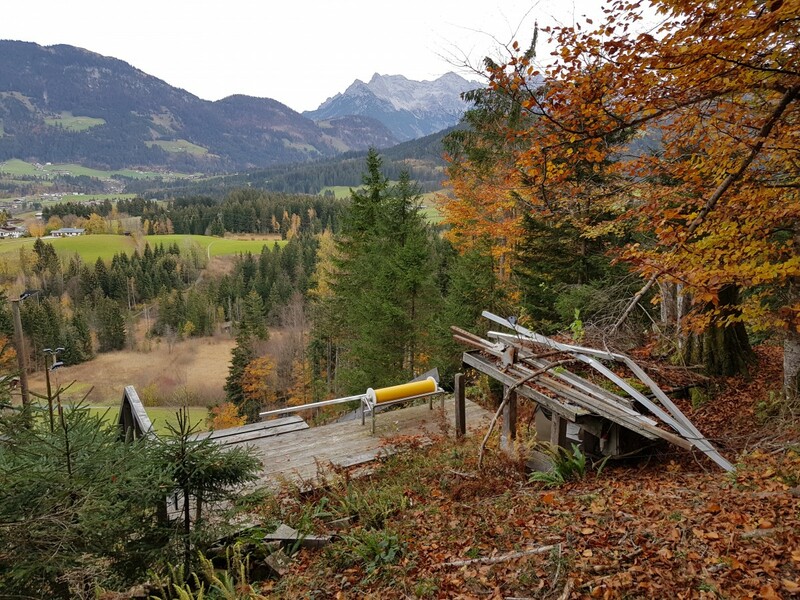 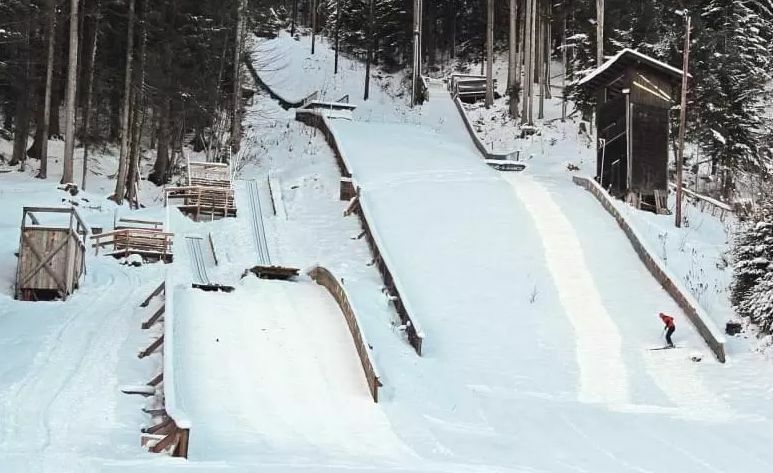 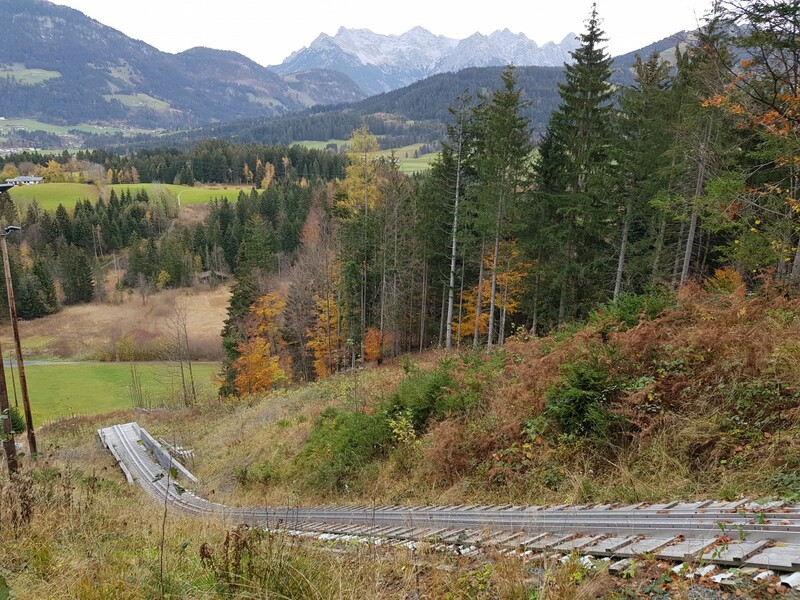 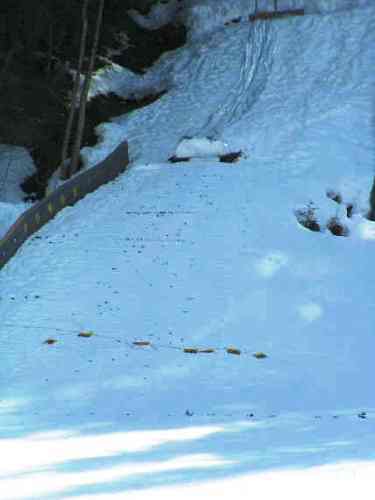 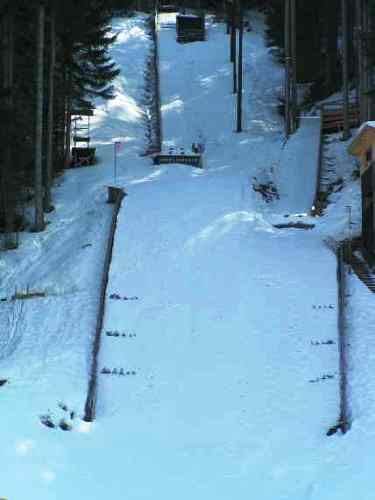 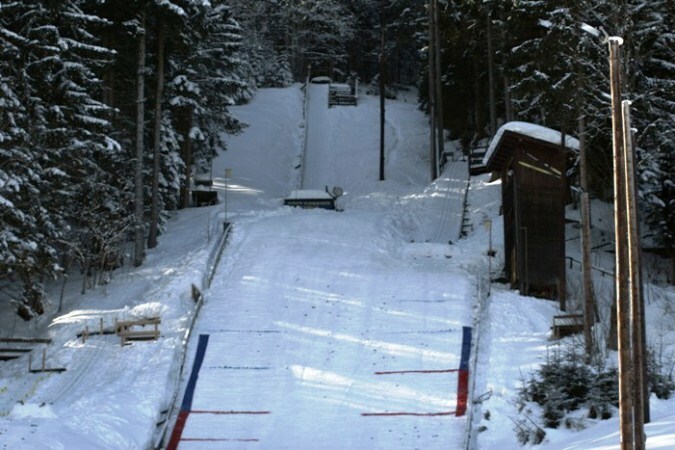 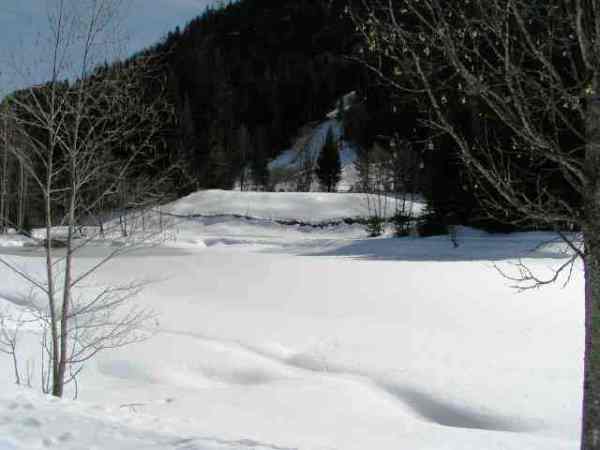 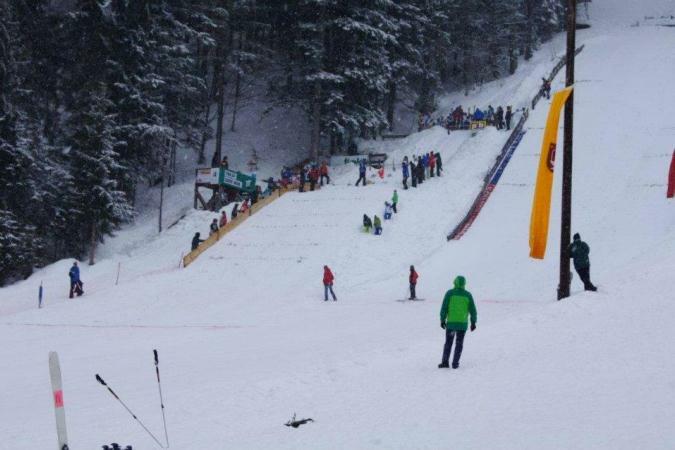 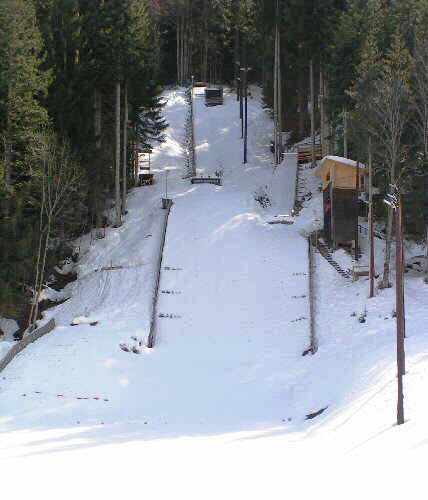 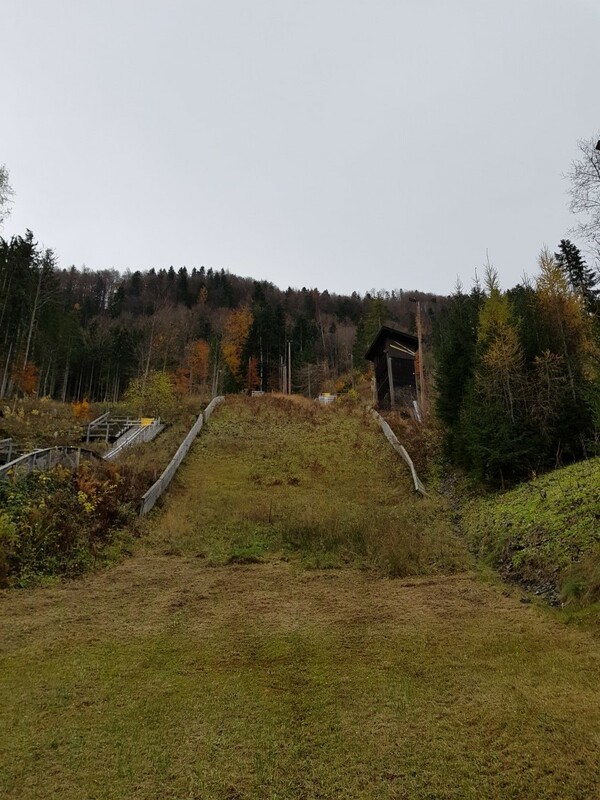 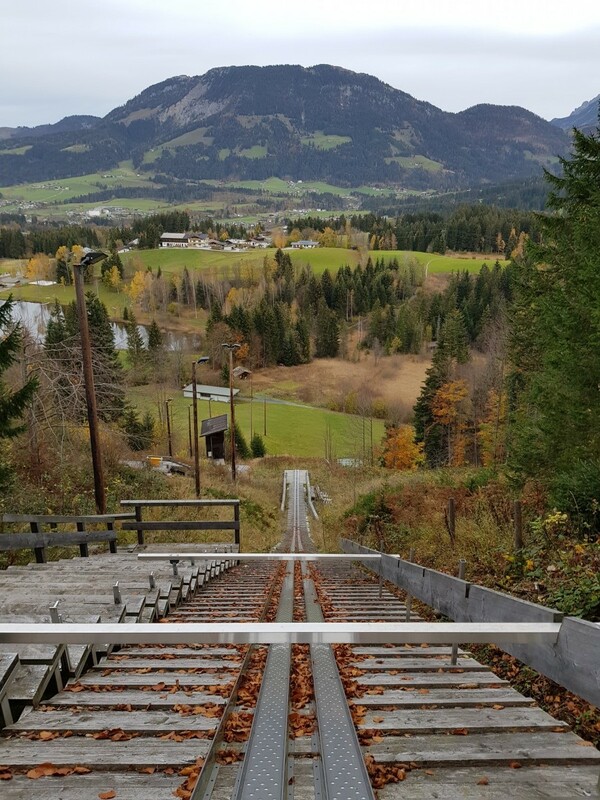 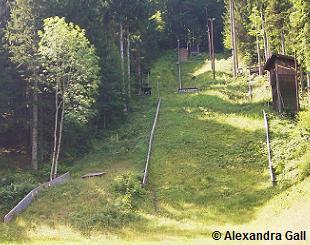 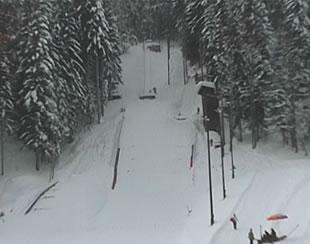 The first ski jump at Fieberbrunn, on which jumps of 50 m were possible, was built behind the vicarage in late 1940's. 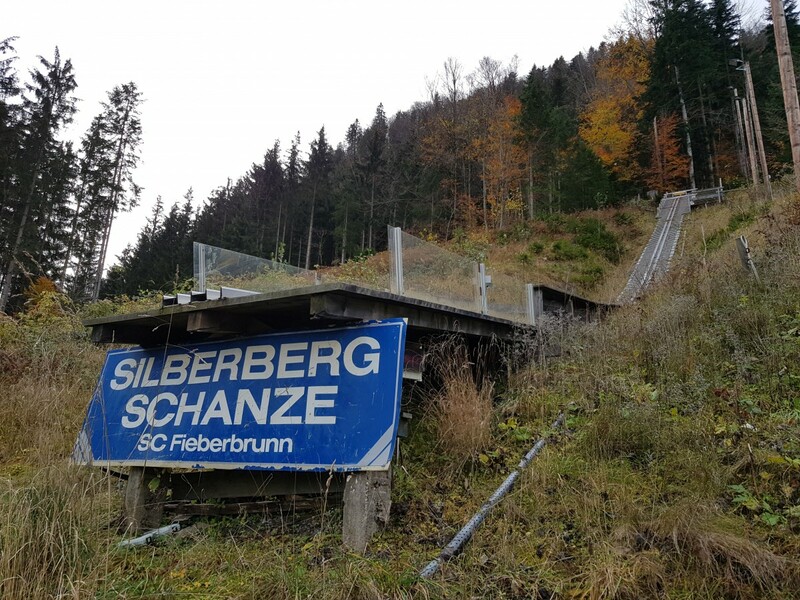 Under the lead of Simon Schwaiger the Silberbergschanze was constructed in 1979. 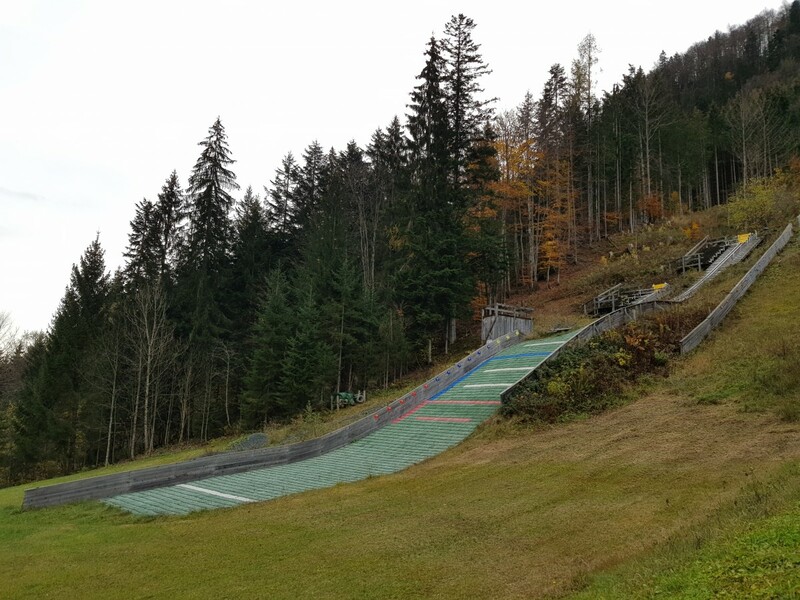 Even the Austrian national team under coach Baldur Preiml participated in the inauguration. 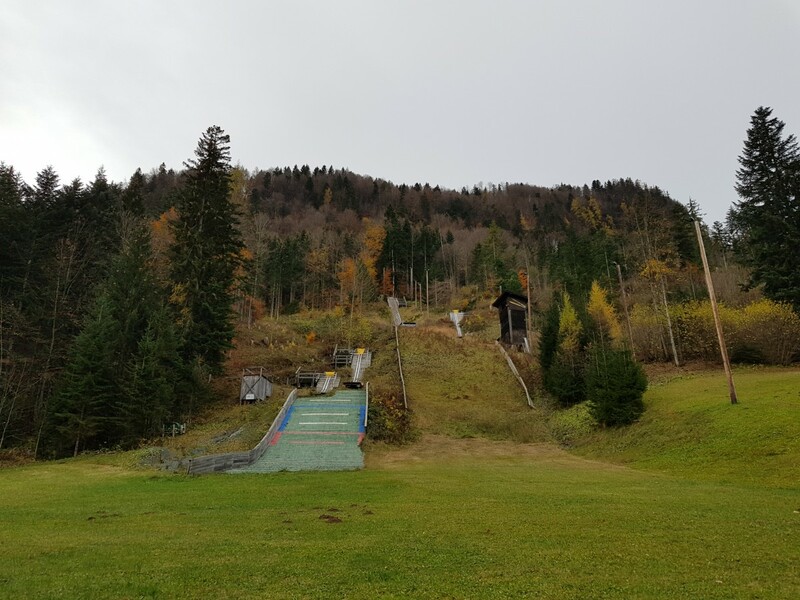 After that the ski jumpers of SC Fieberbrunn were on a high flight in 1980's under coach Kurt Walter, who developed the world class jumper Andreas Widhölzl. 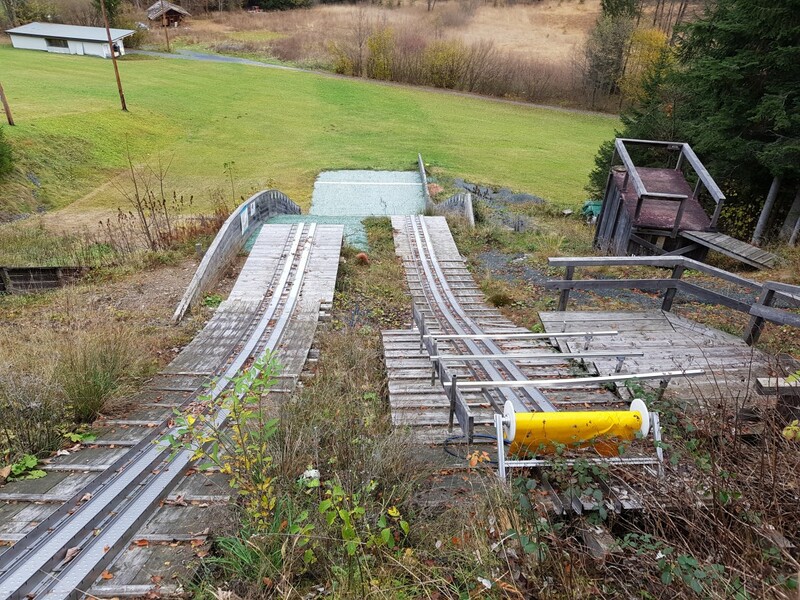 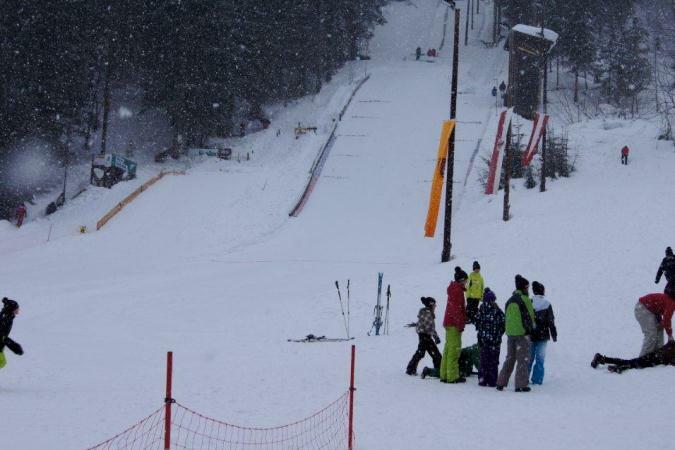 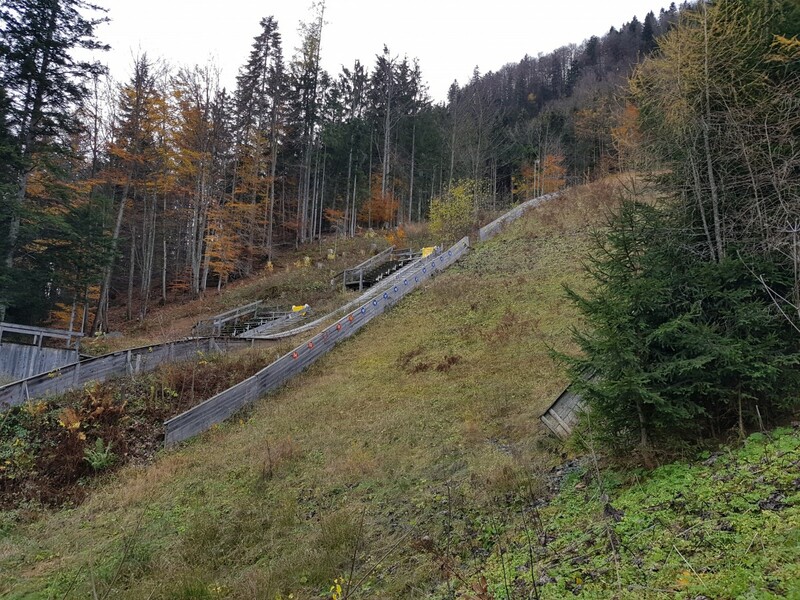 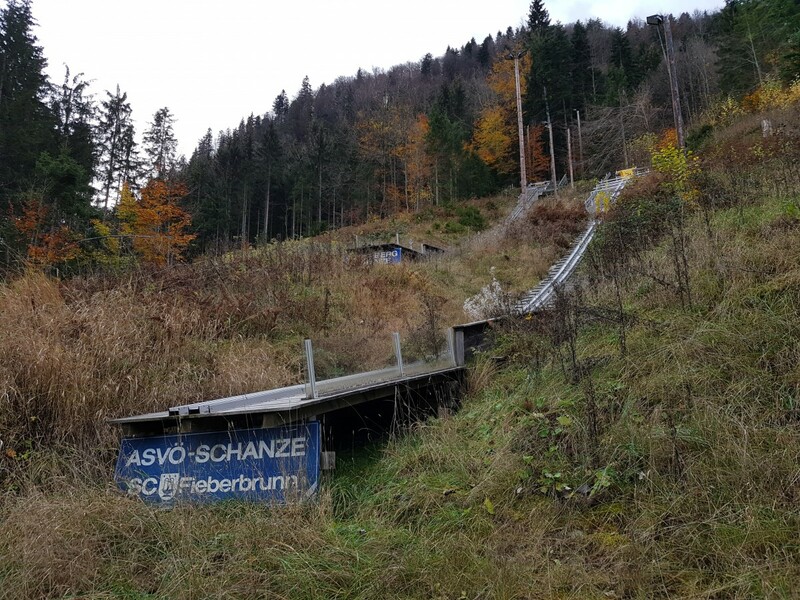 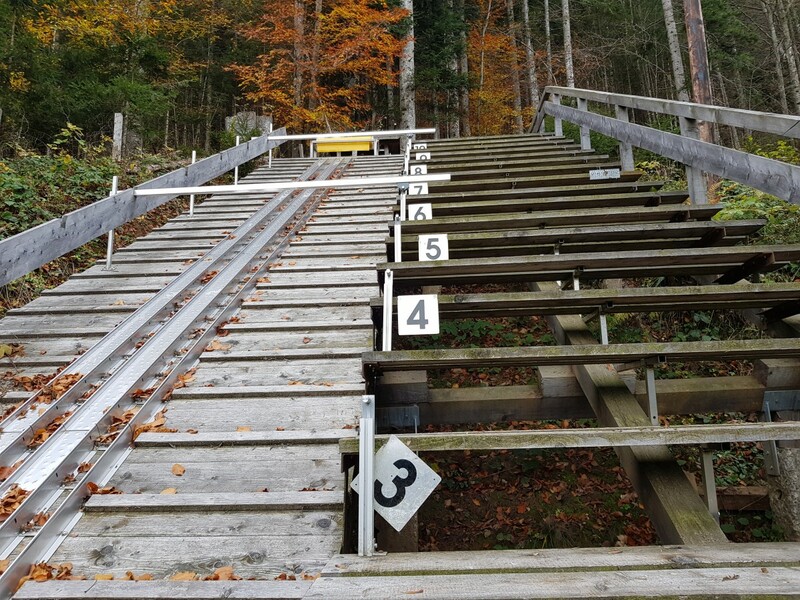 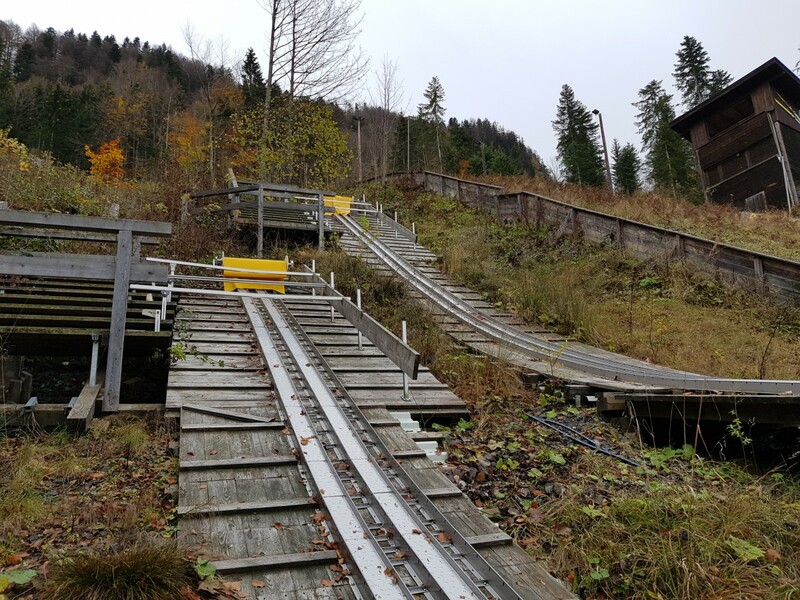 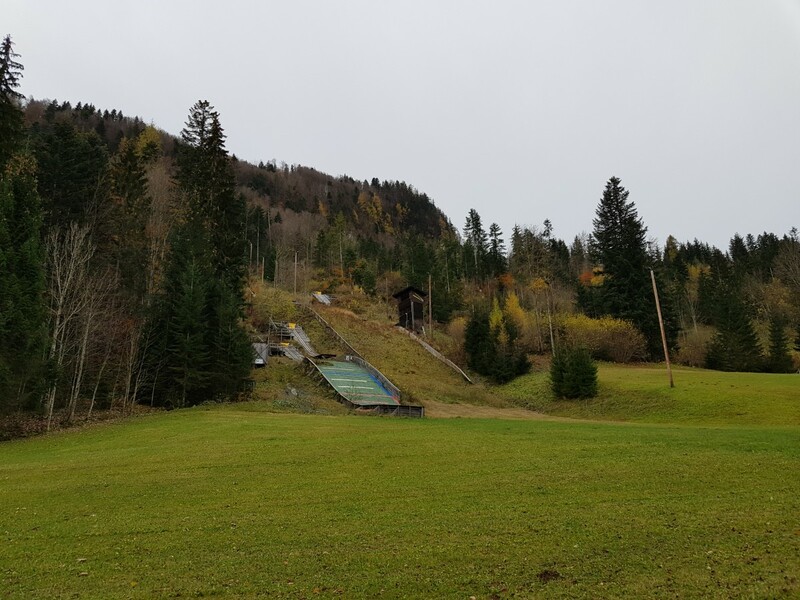 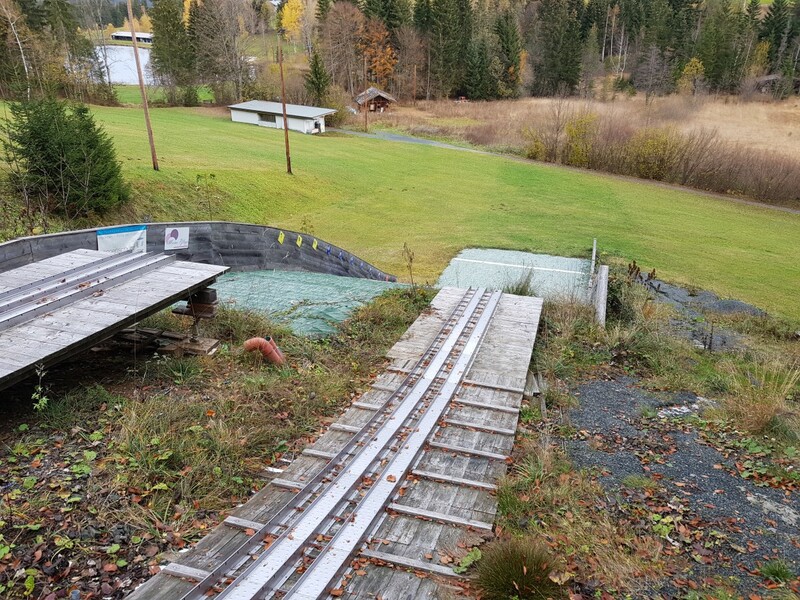 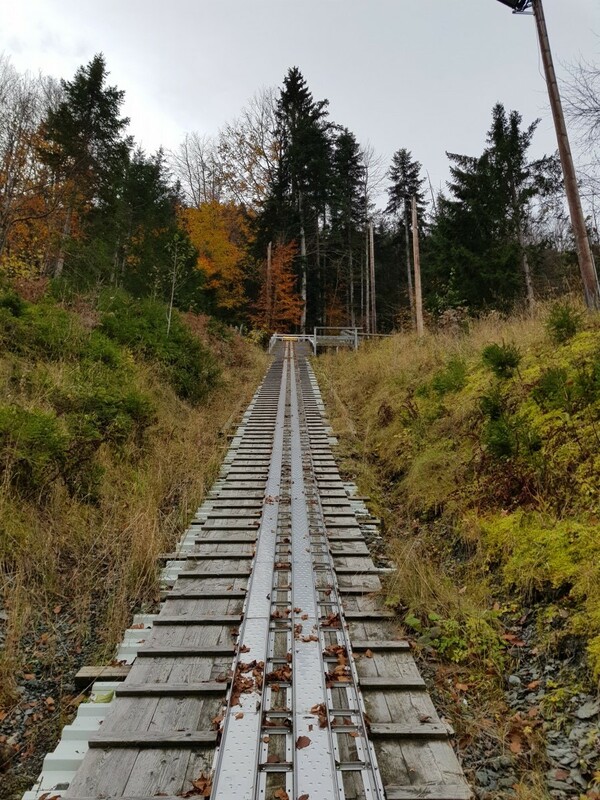 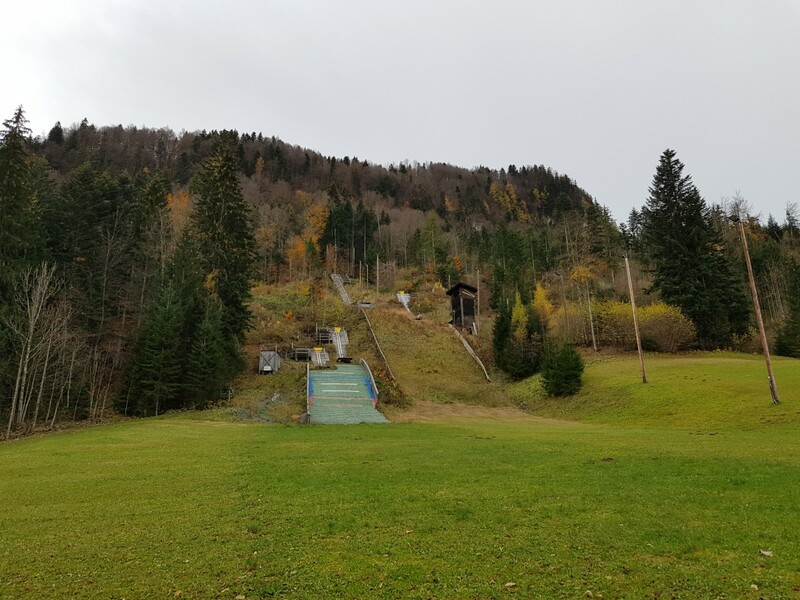 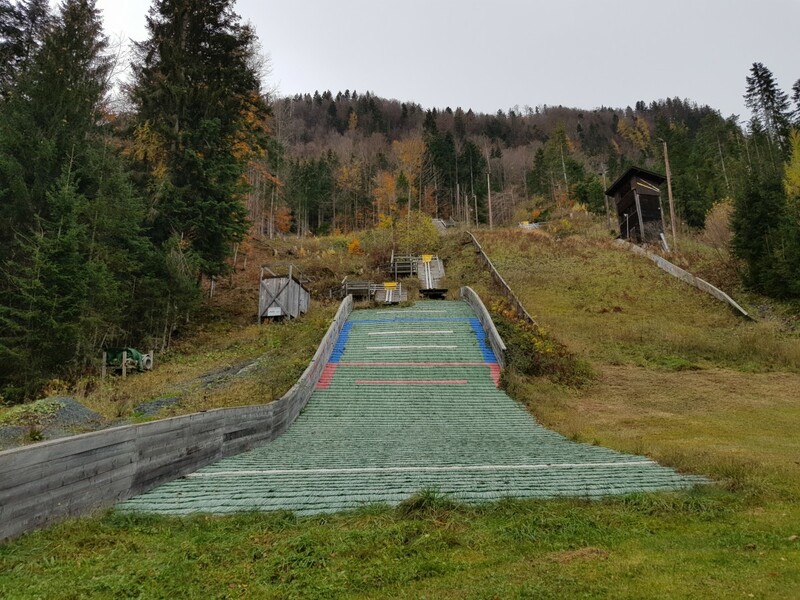 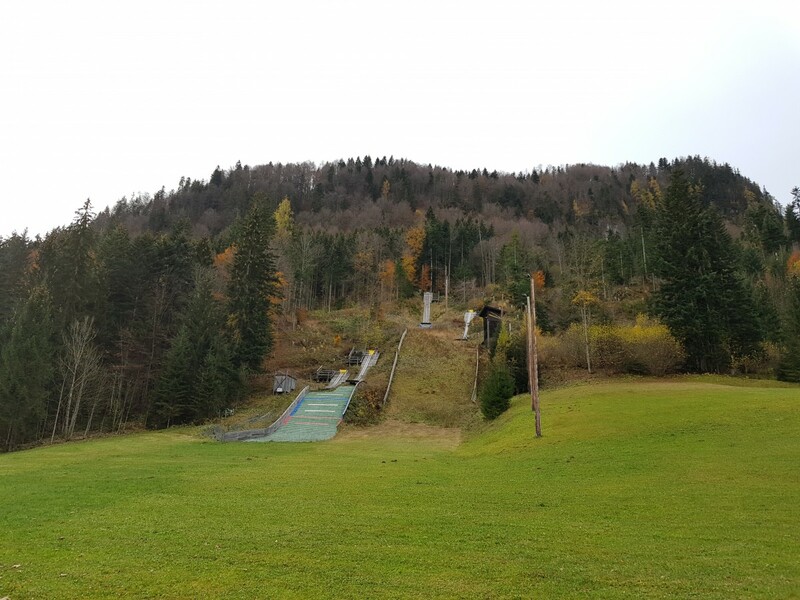 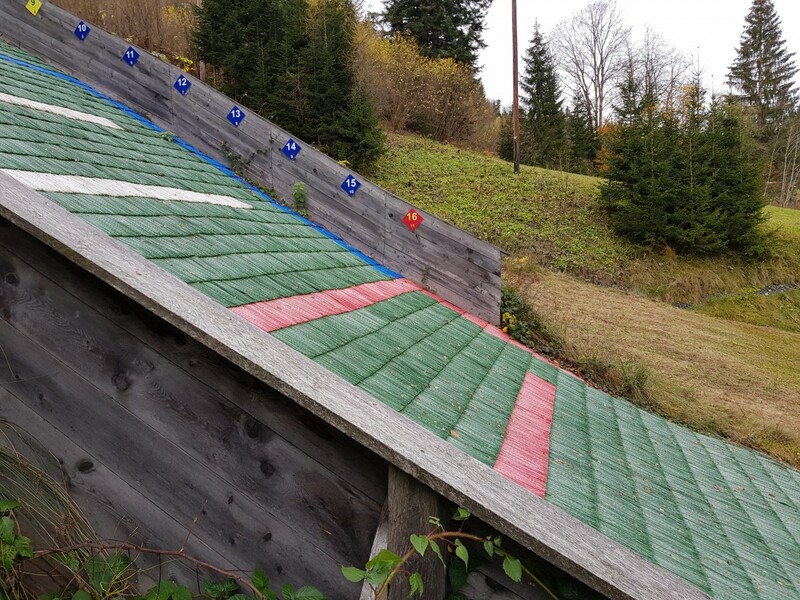 In 2001/02 the ski jumping facility was converted under coach Hans Mühlthaler, whereby it was renamed into Simon-Schwaiger-Schanze, a floodlight sys­tem installed and the junior hills K16 and K11 were built.